aanii! so here it is September 29th, new autumn colours are landing every morning and the salmon, they’re jumping up the waterfalls on their way to the who knows where! that’s quite a sight watching those fish swim up and ponder the best way to climb those two decks. beauty climes to be watching fish, hanging around the river and walking the fields: nothing but big skies full of sunshine and clouds. today looked like an impressionist painting with those big puffy white clouds in all directions, the water flowing by and the maple trees in a blaze of glory. absolutely loverly! well anywho. its a beauty autumn in peace. the colours out here are fantastico. 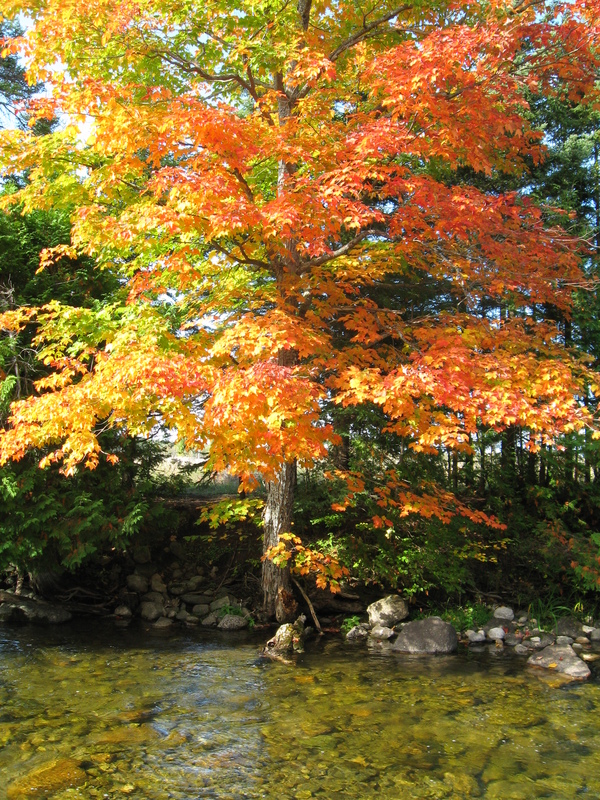 that one maple right next to the river is a beauty. i sat on the south side yesterday watching the world go by and snapped this picture! hope you like!